Lesley Marincola is the CEO of Angaza. Angaza creates Pay-As-You-Go solar technology to enable manufacturers and distributors to make solar energy affordable to the world’s 1 billion off-grid consumers. A product designer (B.S.) and mechanical engineer (M.S.) 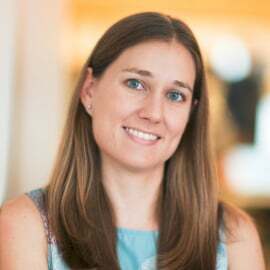 from Stanford University, Lesley has also worked as a design engineer on the Amazon Kindle team, and at Bay Area design consultancy D2M Inc., with clients including DirecTV, Genentech, Qualcomm, and Volkswagen. Lesley is a Tech Awards Laureate, in recognition of Angaza’s Pay-As-You-Go technology, was named a Forbes "30 Under 30" Entrepreneur, and is an Echoing Green Fellow. Lesley’s vision is to solve the world’s most widespread problems – like energy access – with market-driven technology innovation developed with a human-centered design approach.